A first-class toilet partition distributor where quality, design and technology starts with Restroom Remodels Company. With the competitive advantage in innovative, quality, custom design toilet partition projects big and small, Restroom Remodels is the best solution for all bathroom partitions needs from toilet partitions to shower enclosures. Restroom Remodels Company is a full service supplier of restroom partitions specializing in custom design and fabrication. Where others deal solely with standard restroom partition designs, Restroom Remodels constructs custom toilet compartments, shower enclosures, and urinal screens of all shapes and sizes. 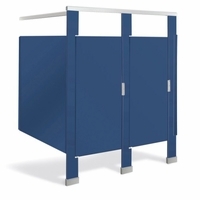 Restroom Remodels offers restroom partitions in all five material types: Powder Coated Steel, (Baked Enamel), Stainless Steel, Plastic Laminate, Phenolic, and Polly to meet your specific design and budget needs. 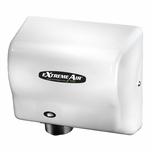 Restroom Remodels Company uses only the best manufacturers such as Metpar, Ampco, Bobrick, Bradley, General, Scranton and more.